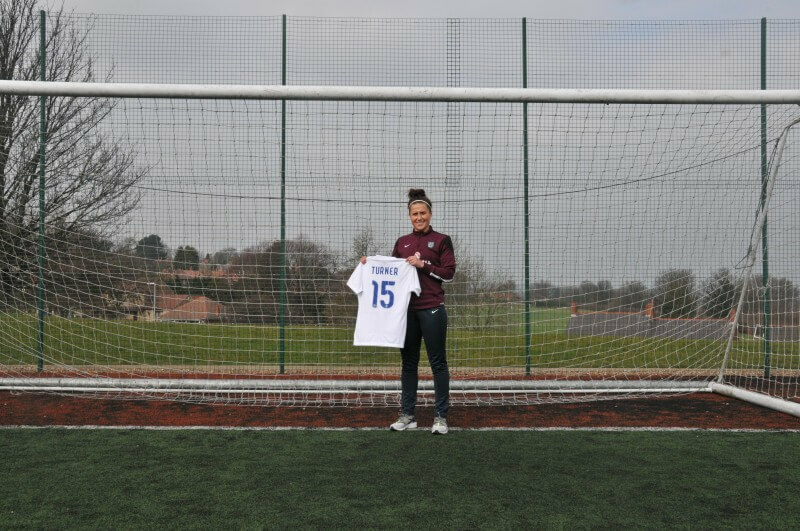 Barnsley College Football Academy coach Amy Turner is bubbling with pride after making a winning debut for the senior England women’s football team. The 23-year-old, who is studying for a Post Graduate Certificate in Education (PGCE) at University Campus Barnsley, received a late call into the England squad which won the Cyprus Cup competition after former captain Casey Stoney suffered an injury. Amy, a centre back who plays for FA Women’s Super League club Notts County Ladies, appeared as a late substitute as England beat Australia at the GSP Stadium in Nicosia before her first full international start in a draw with Holland at the same venue. England went on to lift the trophy after defeating Canada in the final. A former college Sports student, Amy will now bring international football experience to her coaching duties for the college’s female Football Academy team, who are currently top of the Association of Colleges (AoC) Yorkshire and Humberside Female Football League. Amy said: “It is a great honour to play for the senior England team although it hasn’t sunk in yet. It was a shock to get the call-up and everything happened so quickly that I didn’t know what to expect when I flew out to Cyprus. “I seemed to be warming up for about 20 minutes before I came on in the Australia game and there were a few nerves, but I managed to get out there for the last few minutes. I didn’t expect to start the Holland game, however the manager Mark Sampson told me I’d be in the team the day before so I had time to prepare.